Big Valley Ranch, a fruit and nut farm that covers almost 1,000 acres near Stockton, Calif.
California pistachio and almond ranches, Florida gated communities, vacant buildings near the State Capitol: In a reversal of a two-decades-old policy, civil servants at the $50 billion-asset Public School Employees Retirement System, Pennsylvania’s largest state investment fund, have lately been “directly” buying investment properties, instead of leaving such purchases to outside real estate fund managers. Officials at the giant pension system have bought seven large properties since 2016, despite a longstanding internal policy that dictated selling, not buying, such holdings. They plan to buy more. Pension officials say they are snagging properties, as other states have, on a case-by-case basis, with board support and unanimous staff, consultant, and legal approval. They say buying properties directly can be more efficient. PSERS has prepared internal reports maintaining that the properties are a good bet, for example, because Florida will keep attracting more residents, and Americans will eat more fruit and nuts. Although the properties throw off some income each year, final profits won’t be measured until the properties are sold, years or decades from now. “Direct real estate creates all kinds of potentials for conflicts” of interest, said Chris Tobe, a former member of the Kentucky state pension board, current candidate for state auditor, and author of the book Kentucky Fried Pensions, about poor pension investment choices. There’s a lot at stake. PSERS profits are designed to boost the pension plan, whose long-term liabilities exceed assets by more than $30 billion. That gap requires an “employer contribution” from state and local taxpayers that topped $4.8 billion this year -- an amount equal to 15 percent of the state’s general fund budget. From the last time the system bought real estate, the system still owns a hotel in Atlanta, a ground lease at a mall in San Antonio, another mall in Florida, and fruit farms in California, Florida, and Washington, which were acquired back in the mid-1990s. Back then, PSERS also invested directly in some private businesses, including an ill-fated soda-bottling plant in Norristown that cost the system $14 million when owners went bankrupt. In a shift away from such “direct" investments, the system over the next 20 years hired dozens of private asset managers to try to boost returns. That included hiring professional real estate fund managers, who have collected $3 billion in fees since the 1980s, to buy and sell real estate for PSERS. But now, PSERS is back in the market buying properties. In fiscal 2014, PSERS “directly owned” real estate worth $286 million. By PSERS’ last annual report on June 30, the system’s direct real estate properties were valued at $603 million, a little over 1 percent of the system’s total. The system said the direct properties’ “internal rate of return," including recent price appreciation plus profits from crop sales and rents, stood at 8.6 percent last year -- a little lower than the average for its real estate portfolios. Spiller joined PSERS in 1994, during the last direct-investment wave, which he thought he would help lead. Instead, with private fund managers proliferating, his bosses and board at that time “decided it was much more efficient to invest through funds, because you could get out [invest] a lot more money” fast, and track it efficiently, he said. To meet state cost-cutting goals, PSERS said in a report last year that it could save as much as $900 million over the next 25 years by reducing payments to outside real estate managers. The system said it could do this by purchasing more publicly traded real estate funds (REITs) and by “co-investing,” or buying properties from managers it already pays without incurring new fees. But PSERS officials say their new direct real estate investments are separate from those cost-savings plans. There might be savings; Florida says it should cost roughly half as much, in fees, to purchase real estate directly, instead of hiring private managers. But there are also costs to holding real estate directly. PSERS officials haven’t estimated savings over time from buying properties directly. PSERS has owned its six-story headquarters at 5 N. Fifth St., since 1986. Starting in late 2017, it has bought or arranged to acquire the former Patriot News plant site and a series of nearby properties along four blocks of Market Street for headquarters expansion and city redevelopment projects. At first PSERS planned to fix up the newspaper complex. Instead, “the trucks [from general contractor Alexander Building Construction, part of the Butz Family of Companies, which also owns Philadelphia’s Shoemaker Construction] are knocking them down,” Spiller said. “That property was quite old. The office space had quite a bit of asbestos.” The state has also moved to transfer a nearby government printing plant to PSERS, among other properties. Officials declined to discuss their plans for the sites. Since the 1990s, PSERS has owned commercial fruit farms in LaBelle, Fla. (juice oranges); Bakersfield, Calif. (table citrus); and East Wenatchee, Wash. (apples and pears), part of a larger portfolio that was mostly liquidated. 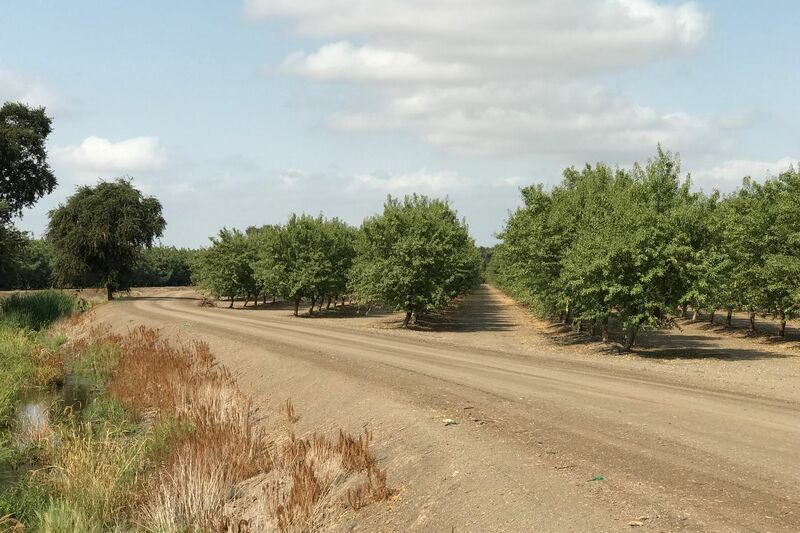 “Citrus groves were performing so well, we decided to hang on to those,” Spiller says. The Washington property has been sold but the state continued to receive fruit payments. Nineteen years after buying the last of those orchards, in 2016, PSERS trustees agreed to let staff buy $75 million more worth of farmland. That fall they bought three square miles of Valencia and navel oranges in Lorida, Fla., followed by Big Valley Ranch (walnuts, almonds, a few cherry groves) in Stockton, Calif., and Golden Hills Ranch (pistachio trees) in the desert south of Avenal, Calif. PGIM Real Estate, a Prudential unit that guided PSERS farm purchase in the 1990s, also advised the pension fund on those recent purchases. In 1987 PSERS bought the Atlanta Airport Marriott hotel, which it has since tried several times to sell, advised by firms including GF Management, whose owners include prominent Pennsylvanians such as Ira Lubert, the Penn State board chairman and co-owner of several firms that are together paid millions of dollars a year to invest state pension funds; and Robert Keith, head of TL Ventures, another firm that invested for the state. Though PSERS regularly posts updated valuations for its stocks, bonds, and hundreds of privately managed investment portfolios, officials declined to disclose their current estimates of the value of the Marriott or other properties. “We can’t give you valuations of the individual properties,” said PSERS spokesman Steve Esack. “If we tried to sell them, the value would be out there, and people would try to take advantage of the situation" by using the information to bargain down the state’s asking price.